What does Suchita mean, details, origin, short & easy attributes? Name Suchita generally means Beautiful or Auspicious, is of Indian origin, Name Suchita is a Feminine (or Girl) name. Person with name Suchita are mainly Hindu by religion. Suchita is baby girl name mainly popular in Hindu religion and its main origin is Hindi. Suchita name meanings is Good picture, Beautiful. People search this name as Suchita. Suchita is written in Hindi as सूचिता. Other similar sounding names can be Sachet, Sachit, Sachita, Sashti, Sashwat, Satchit, Suchet, Sucheta, Suchit, Sushita. Each letter meanings in Suchita Name. C Charm, the undeniable you. Popular personalities with Suchita Name. 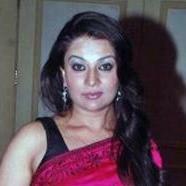 Suchita Trivedi is an actor and actress. She was most prominent from 1983 to present. Suchita was born on September 20th, 1976 in Mumbai.